Don't you love it when a promo shot comes together? 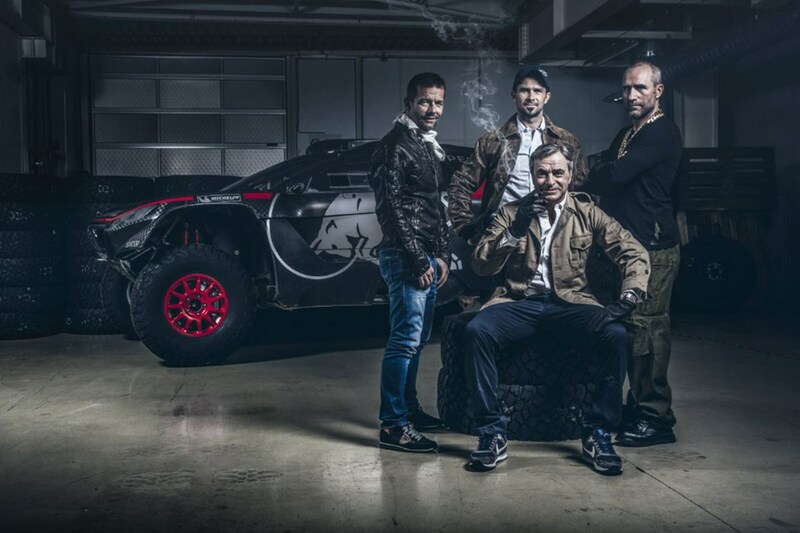 Something tells us Peugeot really wants to win the 2016 Dakar rally. Not only has it comprehensively overhauled its 2008 DKR challenger (and made it look even more menacing than ever in the process), it’s signed an all-star driver line-up to pilot it, including a certain Sébastien Loeb. Loeb is the most successful WRC driver of all time, winning nine world championships (and a scarcely credible 46% of all the World Championship rallies he ever started). The Frenchman is currently enjoying a quiet retirement driving (and winning races) for Citroen in the World Touring Car Championship at weekends. He’s got form in fast Peugeots, smashing records at the infamous Pikes Peak hillclimb in 2013 at the wheel of the 875bhp 208 T16. Nominally a 2008 but sharing precisely zero components with Peugeot’s compact crossover, the Peugeot 2008 DKR16 is a comprehensive redevelopment of last year’s challenger. Powered by a diesel-fuelled V6 with 350bhp driving the rear wheels, it’s been made longer, wider and lower to aid stability, shorn of overhangs to help it scramble over obstacles and suspension travel has been increased to an enormous 460mm. ‘In the WRC I have been used to going around obstacles, but with this car you can just drive straight over them and it takes some time to have the confidence to believe it,’ says Loeb. Quite.